If you want to get attention you can do so by paying more attention to your appearance and building your personality. Men don’t have difficulties impressing the world if they want to do that. But, lots of them actually don’t have a clue how to improve their personality and appearance even though they would want to. They can do that easily with the help of the right shirt, belt, watch and shoes. 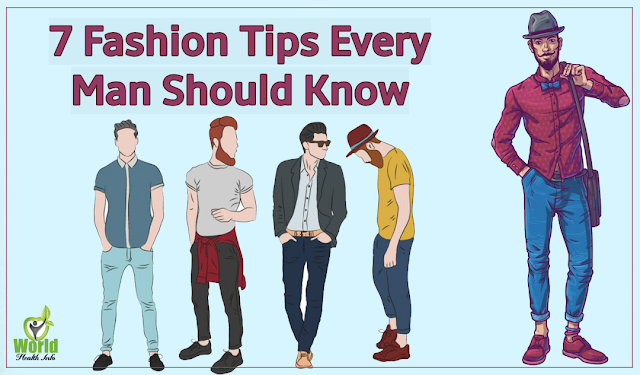 Here is a list of simple fashion life hacks for men that can make them look better and impressive. Hairstyle is extremely important part of your appearance because it can either emphasize your appearance or ruin it. You should avoid overusing hair products because they create a mess that does not add to your appearance. Apply hair products by taking a little amount and use your fingers or a comb. You can also consult a hairdresser for better hairstyle. Women love it when men have their shirt sleeves rolled up to their forearms. It gives the formal outfit a casual touch, but be careful how to do it. Don’t roll your sleeves carelessly, instead make a fold, and another one until you reach the bottom of your elbow. Women are not the only ones who can wear tight clothes. They can embrace the height of a man as well, and can even improve your appearance. They go well with lots of different types of shirts, shoes and t-shirts. There is a saying “The personality of a man is on his feet”. And it is absolutely true. Wearing dirty shoes gives the impression of having poor hygiene which will reduce your chances of impressing someone. Always pay attention to the cleanliness of your shoes. Posture is important for your health but also for your appearance. Whenever you sit down rest your back on the wall of the chair keeping your feet on the ground or crossed with your ankle placed on your knee. Wearing clothes that you like and feeling comfortable is nice, but you should think about the choices of color you wear. You need to pay attention to the combination of colors. For example, if your shirt has a deep shade, your trousers should give a contrast with a lighter color. These are simple touches that can significantly improve your appearance. Once you have chosen the right color you also need to choose the right size. You should wear clothes that fit you perfectly in order to avoid looking overweight and dull wearing saggy clothes. Also, too tight clothes can make you feel uncomfortable and unable to focus on impressing with your personality.